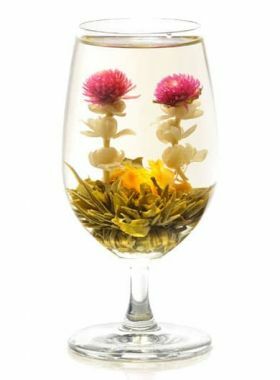 Made of two snow-white jasmine flowers and one Globe Amaranth flower, these tightly twisted tea balls coated with premium Maofeng tea are beautiful to be behold and tantalizing to enjoy. 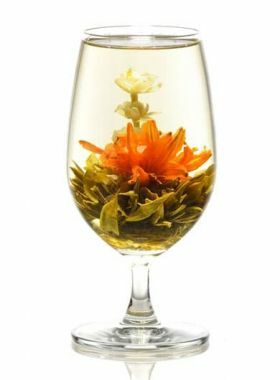 This artisanal display tea is both beautiful to behold and tantalizing to taste. 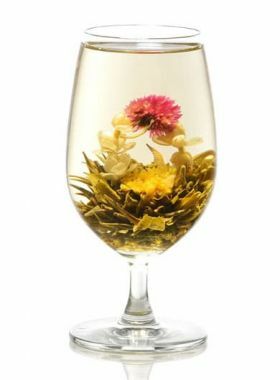 With a crown of Globe Amaranth flower, each Jasmine-scented “Loving Hearts Flower Tea 一见钟情” tea ball unfurls with flavor and can be infused several times. 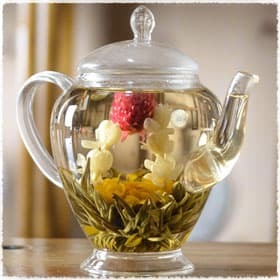 This carefully handcrafted scented spherical tea ball is made of two Jasmine flowers and Maofeng Green tea. 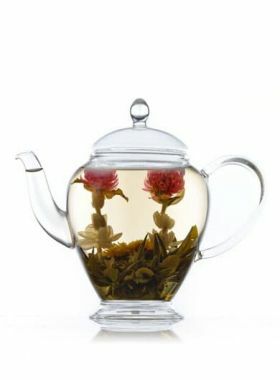 When infused, the blooming flowers like two lovers gazing at each other, with a lovely Amaranth flower which just likes a heart nestled in a bed of soft teas. 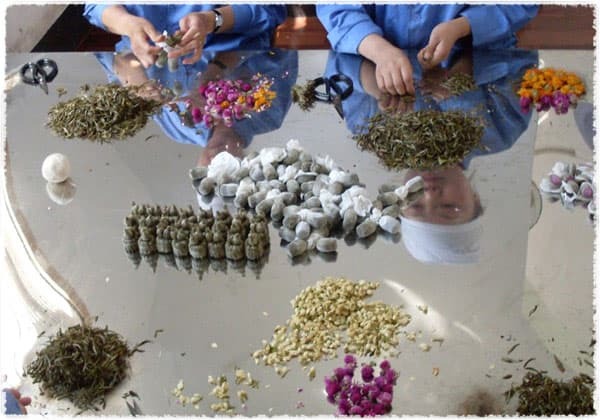 This tea implies purity and loyalty between lovers as it name suggests.